Upgrade your V8 Vantage with our Stage 1 - Aero package. 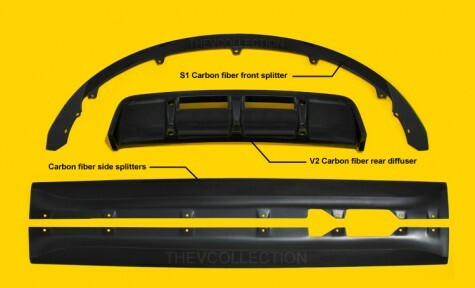 The kit includes our S1 carbon fiber front splitter, carbon fiber side splitters and our V2 carbon fiber rear diffuser. The package is simple to fit and gives the car a lower more purposeful stance. The package is not just a cosmetic upgrade; it also improves the cars dynamics, improving the cars down-force.